When it comes to which material to use for driveways, homeowners typically choose between asphalt and concrete. Both of these materials prove viable options for your driveway and come with their own sets of pros and cons. Asphalt is a mixture of sand and crushed stone (the aggregate) bound with a petroleum-based substance, while concrete is comprised of the same aggregate, but is bound instead with cement. The difference in this binding agent affects how each material is poured and changes the look and feel of your driveway. Asphalt is poured over a level gravel base and smoothed with a steamroller, while concrete is poured on a gravel surface and leveled. When poured, homeowners can drive on asphalt almost immediately, while concrete takes about a week to cure. However, rigid concrete can handle heavier loads than asphalt, which comes into play with heavier vehicles like trucks or RVs. While asphalt driveways typically cost less up front, when it comes to longevity, concrete steals the show. Concrete driveways can last up to 30-40 years while asphalt driveways last around 20-25 years. Concrete driveways also require less energy overall to produce and place, making them more environmentally friendly than their asphalt counterparts. Asphalt also typically requires more maintenance than concrete. Homeowners have numerous decorative options with both concrete and asphalt, however, there are less options for staining and brushing with asphalt. With concrete, etching, brushing, and decorative borders are all possible! The versatility of concrete allows homeowners to choose options that better match and complement the design of their home. Concrete driveways absorb less UV radiation than asphalt, making them cooler to walk on in the hotter months. 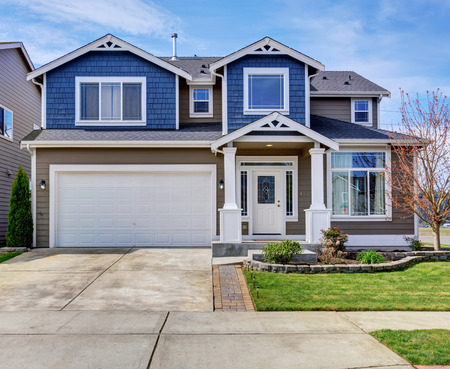 And when it comes to resale, homeowners may catch more value with a concrete driveway, as potential buyers may be more attracted to this material as opposed to concrete. Feel like going with the clear winner? Trust Templin Concrete Construction for your concrete driveways, sidewalks, patios, countertops, flooring, and more! Call our experts at 612-388-1945 today to learn more.